Cult movie director Sam Raimi - helming the Warcraft film adaptation - has revealed that the movie is not "Rise of the Lich King," and that Saving Private Ryan writer Robert Rodat is on board. In an interview with director Sam Raimi over his return-to horror- film [I]Drag Me to Hell, MTV Movies Blog snuck in a few questions about the Warcraft film currently in production, which Raimi was announced to be directing back in July. Raimi took time to ix-nay the suggestion that the film would carry the subtitle "Rise of the Lich King" as reported earlier this month, indicating that the IMDB entry was likely edited by an overzealous fan. Rather than focusing on the stories of pre-existing characters, Raimi said that the film would likely be an original story set in the world of Warcraft - to "adapt the game," rather than simply reiterating a preconceived tale. "We want to be really faithful to the game," said Raimi. "We would have our writer, Robert Rodat, really craft an original story within that world that feels like a World of WarCraft adventure. Only obviously it's very different 'cause it's expanded and translated into the world of a motion picture." Beyond that, Raimi spoke of the need to make a movie that catered to the massive Warcraft fanbase as well as all of those non-gamers who couldn't tell their Alliance from their Horde. The director was hoping to properly capture "the Horde and the Alliance and the mythology that takes place in the game, and the archetypes that the game presents." So, the goal is to be accurate and authentic, with pre-established characters like Thrall and Jaina Proudmoore as secondary players rather than the focus of the story. Makes sense to me. Oh, and the Robert Rodat mentioned above? 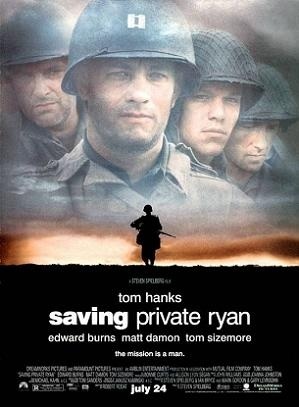 He was the scriptwriter for the critically acclaimed World War II film Saving Private Ryan. Said script was nominated for an Oscar, which is probably a good sign for Warcraft's appearance on the silver screen. Says Raimi of Rodat: "I've never made a video game movie, but my approach would be to work with the best character writer I can find, which in this case is Robert Rodat, and tell a great character story within the fantastic environment of the world of Warcraft, while staying true to their mythology." True, he has some credentials under his belt that aren't quite as good (The Patriot and Fly Away Home weren't bad, but 10,000 BC did get panned pretty hard) but let's look at this from a relative point of view: It's better than getting the Legend of Chun-Li writer, right? Who knows? This has the potential to turn out fairly awesome, especially if Bruce Campbell and Superman are involved.